If you enjoyed my conversations with adventure athletes Alex Honnold (RRP 351), Conrad Anker (RRP 170), Hilaree Nelson (RRP 364) and Colin O’Brady (RRP 207 & 235), then you are going to flip for today’s episode with Chai Vasarhelyi & Jimmy Chin — the dynamic and talented filmmaking duo behind the stunning new documentary Free Solo — a beautiful cinematic celebration of human possibility. A graduate of Princeton University hailing from New York City, Chai is an award-winning film director and producer with Hungarian, Chinese, and Brazilian roots who cut her filmmaking teeth under the legendary Mike Nichols. Her first film, A Normal Life, won Best Documentary at the Tribeca Film Festival in 2003. Her second film, Youssou N’Dour: I Bring What I Love, was released in theaters in the US and internationally. The film won numerous awards, including the Special Jury Prize at the Middle East International Film Festival in 2008 and a nomination for the Pare Lorentz Award at the 2009 International Documentary Association Awards. An award-winning cinematographer and director in his own right, Chai’s husband and creative partner Jimmy is also a professional climber, skier, mountaineer, 18-year member of The North Face Athlete Team and National Geographic Explorer. Over the past 20 years, he has led or participated in cutting-edge climbing and ski mountaineering expeditions to all seven continents and made the first and only American ski descent from the summit of Mount Everest. Known for his ability to capture the authentic in some of the world’s most high-risk environments, Jimmy has worked with many of the greatest explorers, adventurers and athletes of our time, documenting their exploits in the most challenging conditions and locations in the world. He has garnered numerous awards shooting on assignment for publications, including The New York Times Magazine, Vanity Fair and Outside Magazine, and has directed commercial work for a wide range of clients, including Apple, Chase, Pirelli and The North Face. Jimmy’s technical acumen matched with Chai’s storytelling superpowers have created two of the most compelling documentary masterpieces in recent memory. The highest grossing independent documentary of 2015, Meru won the Sundance Audience Award, made the Oscars shortlist and was lauded by Variety as one of the best sports documentaries of its type in recent memory. Their latest collaboration, and the primary focus of today’s conversation, is Free Solo – a riveting, intimate, unflinching, edge-of-your-seat, sweaty-palm-inducing thrill ride portrait of Alex Honnold as he prepares to achieve his lifelong dream: a death defying quest to free solo the world’s most famous rock – the 3,200 face of El Capitan in Yosemite — without a rope. I concur — and cannot recommend this masterful film more highly. But there is so much more to Jimmy and Chai’s collaborative partnership — and the story behind Free Solo — than meets the eye. This is a conversation about about the power of story to inspire. To open people’s eyes to human possibility. We talk about the purity, beauty and treachery of free solo climbing. We dive into the importance of trust, as well as the very serious ethical questions posed in making a film where the very real possibility always looms that their friend and the film’s protagonist could very well die. We explore the unique genius that is Alex Honnold. The diligence and attention to detail that he brings to his craft. His talent and drive. And the rigor and intentionality that he brings to his life. It’s a combination that captivates. Celebrates the human spirit. And reminds us that anything is truly possible. In addition, I urge you to check out the YouTube edition of this episode HERE, which features the full conversation supplemented with amazing clips from the movie itself. It’s a great honor to meet and converse with Chai and Jimmy. I sincerely hope you enjoy this exchange as much as I enjoyed having it. Bombas: The world’s most comfortable socks! Not only did Bombas re-engineer socks for everyone’s everyday, they donate 1 brand new pair of socks for every pair they sell (including 250 pairs to LA Mission at my request). To get 20% off your first order, go to bombas.com/richrolland enter code richroll at checkout. Health IQ: A new paradigm insurance company that helps health conscious people get special rates on term life insurance. Go to healthiq.com/ROLL to support the show and learn more. Note: One of the best ways to support the podcast is to support the sponsors. For a complete list of all RRP sponsors and their respective vanity url’s and discount codes, visit my Resources page and click “Sponsors”. National Geographic’s FREE SOLO is out now: Find a theatre near you. Watch the trailer HERE. NY Times: What if He Falls? Thanks to Jason Camiolo for production, audio engineering, interstitial music and show notes; Margo Lubin and Blake Curtis for video, editing and graphics. Portraits by Reece Robinson. Theme music by Ana Leimma. 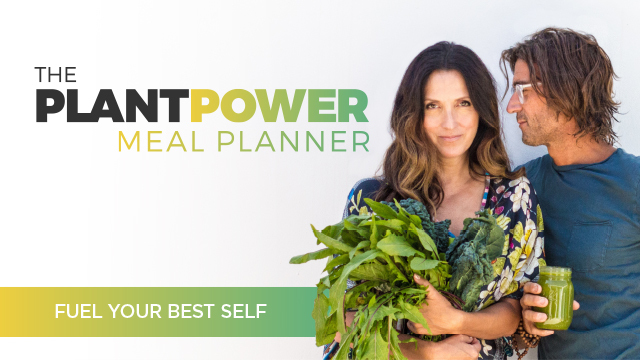 Check out The Plantpower Meal Planner — 1000’s of recipes at your fingertips!